That new idea I got a couple of weeks ago has really taken off. I’ve started doing some research into the subject matter, and the whole thing is taking shape. The other night, I even found myself creating a character in my sleep. I’d been thinking about a role in the story and pondering what kind of character would fill that role. Then I woke up with a complete character in my head, right down to the name. I had his current situation, his personality, his appearance, and his backstory. This one’s going to take a lot of research, including some in-person stuff. I’ll need to track down some subject matter experts and see if they’ll talk to me and let me observe some things. I even have a general sense of what the plot/conflict are going to be, but that part needs a lot of fleshing out. I think some of it will come with the research, so I’m not trying to force it yet. The tricky thing is that all of these wildly flying ideas are coming while I’m wrapping up proofreading on another book. I’m reading it out loud, and I find my mind wandering as I do it. It’s like the reading is on autopilot and although I’m reading each word, I’m not registering it because my mind is busy working on something else. I’m having to take the proofreading in chunks with breaks in between to write down the ideas I came up with while reading. I’ll finish the proofing this week, and then I can really dive into the brainstorming and research. 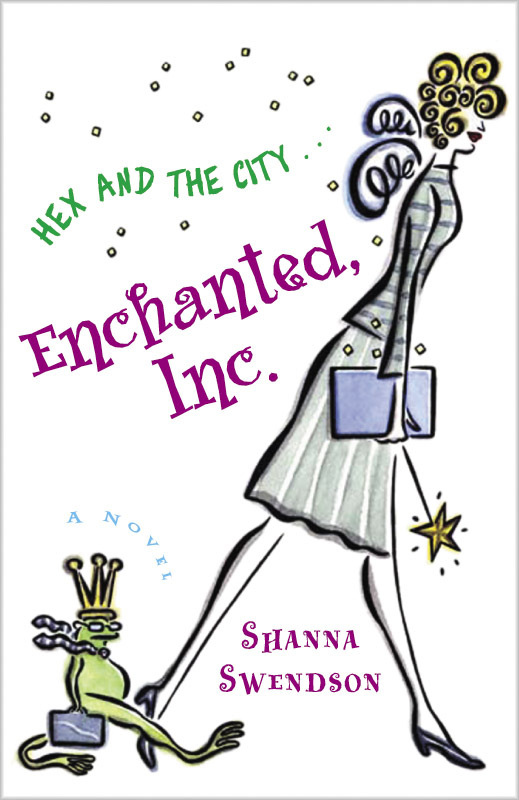 I’m the author of the Enchanted, Inc. series, the Rebel Mechanics series, and the Fairy Tale series. When I’m not writing, I’m reading or discussing television shows on the Internet. My previous blog is still available as an archive of older content.